Falling for Books Blog Hop: Win my Starter Library! It's the Falling for Books Blog Hop! Are you ready for fall? Many thanks to Lilybloombooks for organizing the hop! Fall season has arrived . . . at least, that's what they tell me. 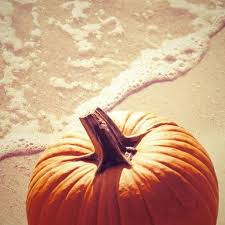 Here in Florida, not much marks the arrival of fall except "back to school" and the return of the Pumpkin Spice Latte at Starbucks. 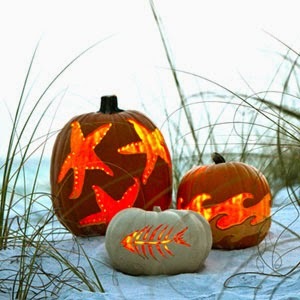 But fall in Florida has its own charm. It's finally cool enough to keep the windows open, the lawn stops growing at rain-forest rates, and it cools off enough to plant flowers (summer kills everything but tropical plants here). But sometimes I miss fall in New England. Maybe that's why my dark fantasy/zombie series "The Harvesting" is set in the Great Lakes region of the United States. The Harvesting is a dark fantasy novel, but it is also filled with images of fall (the season of decay, after all) . . . apple picking, pumpkin patches, vineyards, and the occasional reaping of humans . . . what's not to love? My husband and I were married in North East, Pennsylvania in October. It was a beautiful time of year. Nestled on the shores of Lake Erie, North East boasts a microclimate where vineyards flourish. The very air in North East is perfumed with grapes at this time of year. It's divine. Fall is also a great time to find new reads. For this blog hop, I have my "starter library" up for grabs. Win my starter library! The winner will receive ebook copies of Chasing the Star Garden and The Harvesting. These may not be exchanged for cash value. *Please note that Chasing the Star Garden is an adult steampunk romantic adventure series and contains several steamy scenes. It is intended for mature readers. The Harvesting is recommended for a PG13+ audience.